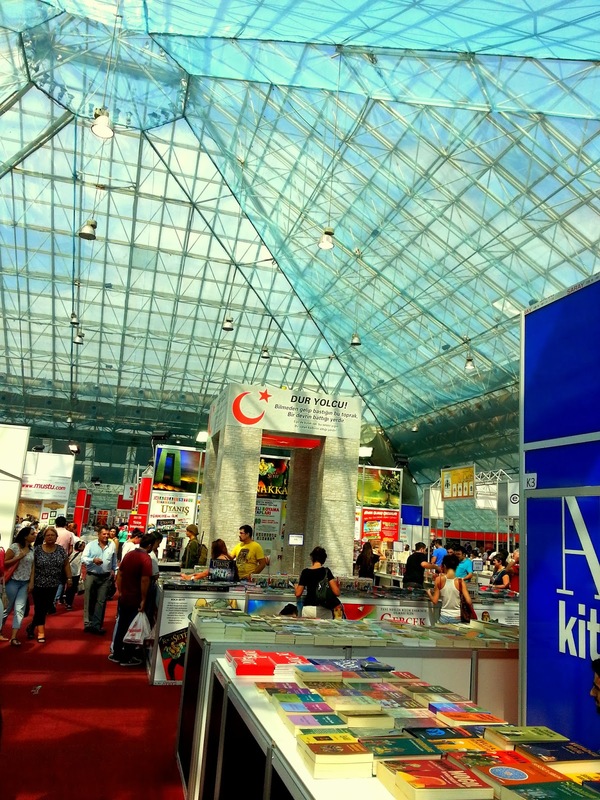 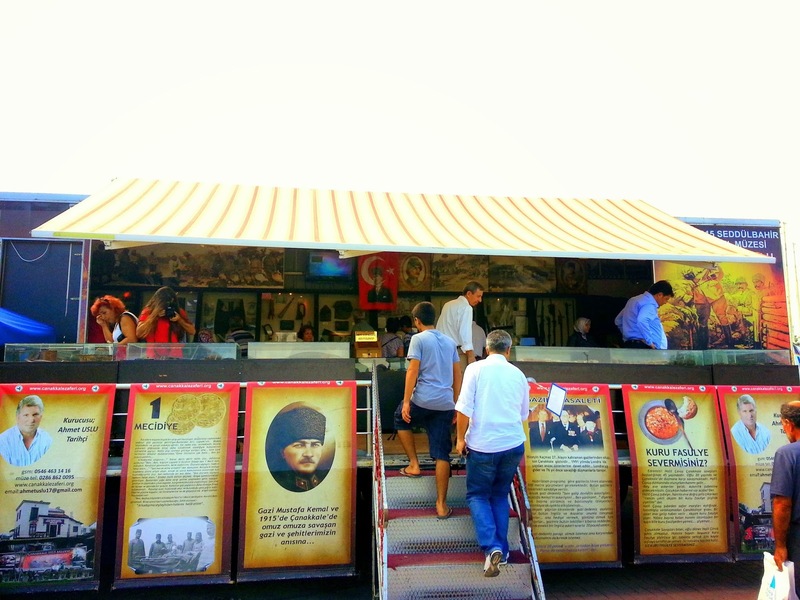 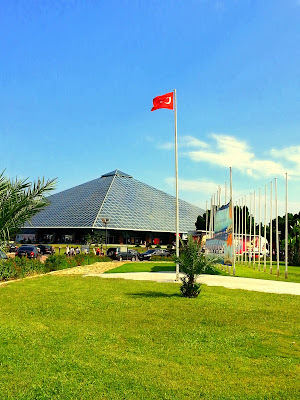 On Saturday, we decided to visit two important fairs in Antaly, and as the first stop, we visited Konyaaltı Book Fair in the Antalya Glass Pyramid. There was an influx of visitors to the fair. It was very crowded. 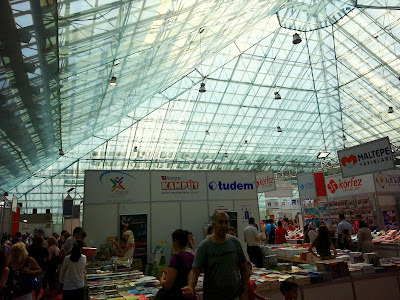 People were in evidently the magical world of books. 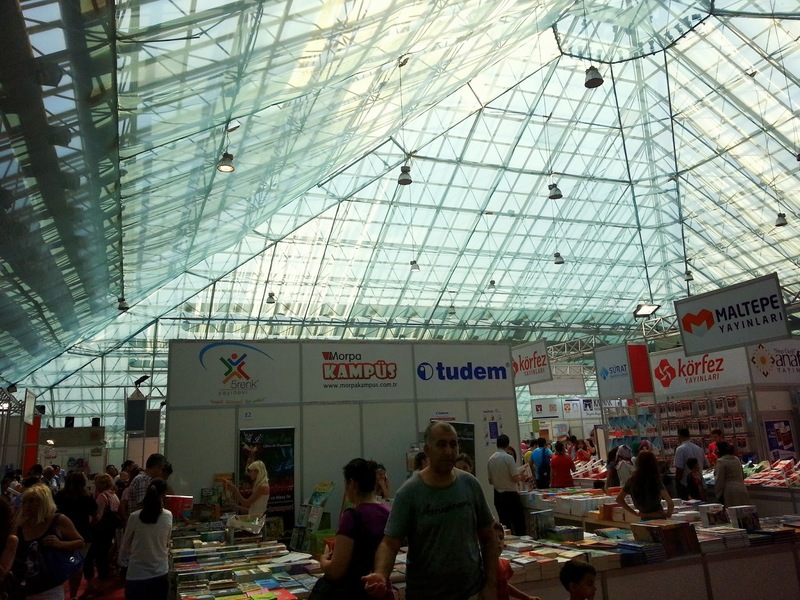 At 14:00 on Information Publishing stand had a very famous guest. Of course, we all know, Uğur Dündar'dı This guest. 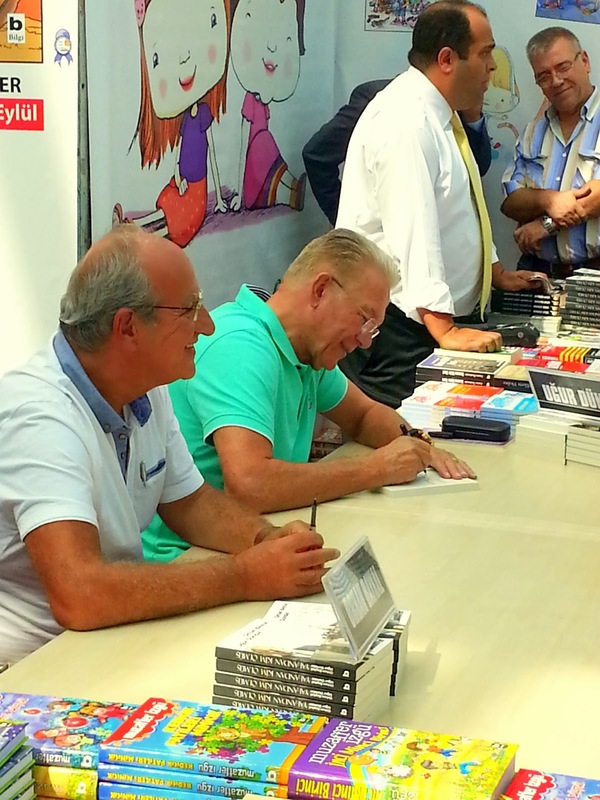 Antalya's local TV channel, VTV, made an interview with Ugur Dundar who is a Turkish journalist, anchorman, political commentator and writer. 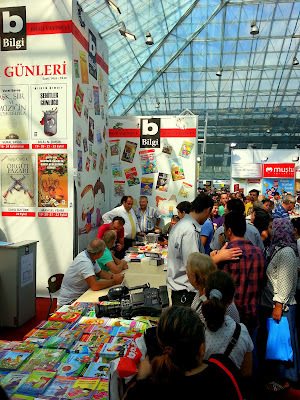 After a short interview, Ugur Dundar began to sign readers's books. 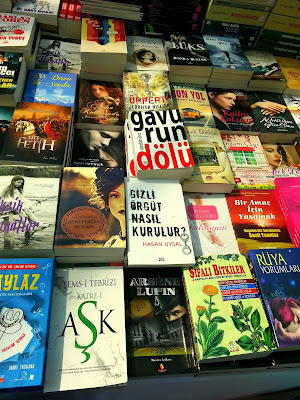 Book prices were very reasonable. Even you can books for 1 TL. All sorts of books were available in the Konyaaltı Book Fair. 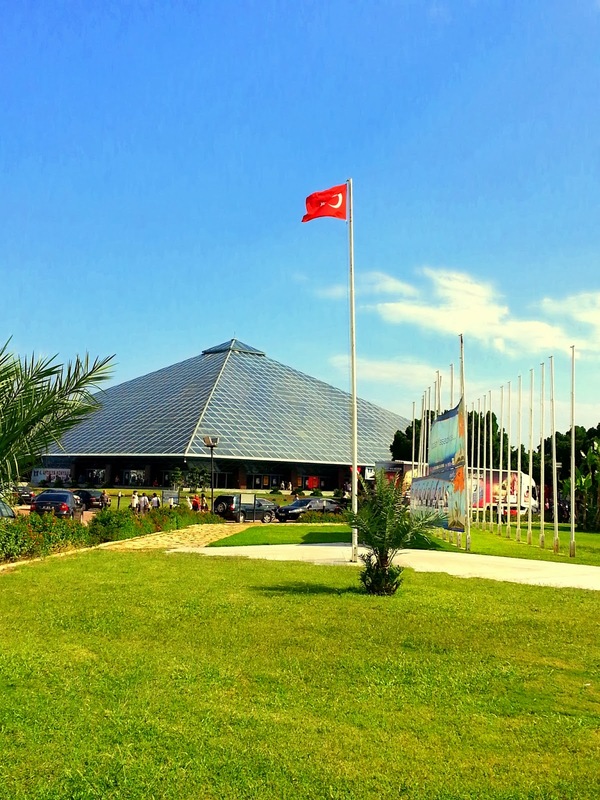 There is the Gallipoli War Museum just outside of the glass pyramid. 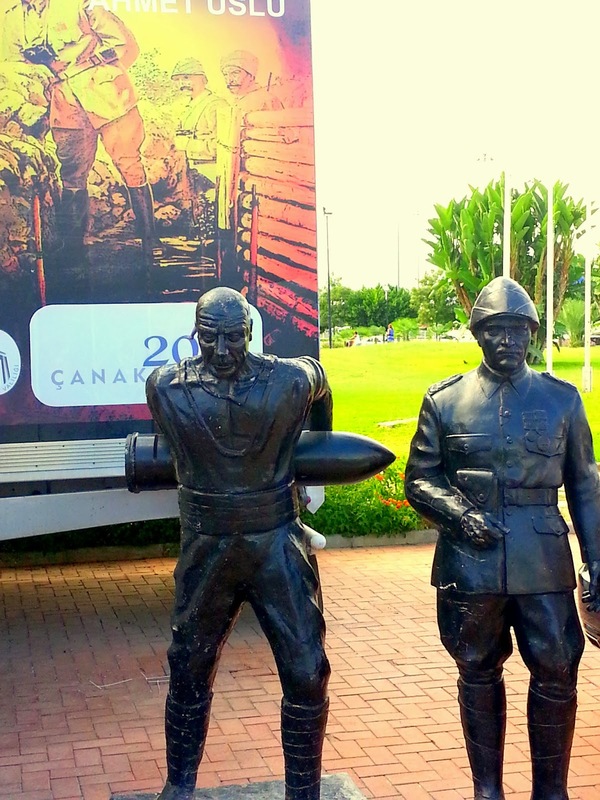 In addition, their is a statue of Gallipoli War hero Corporal Seyit in front of the museum. 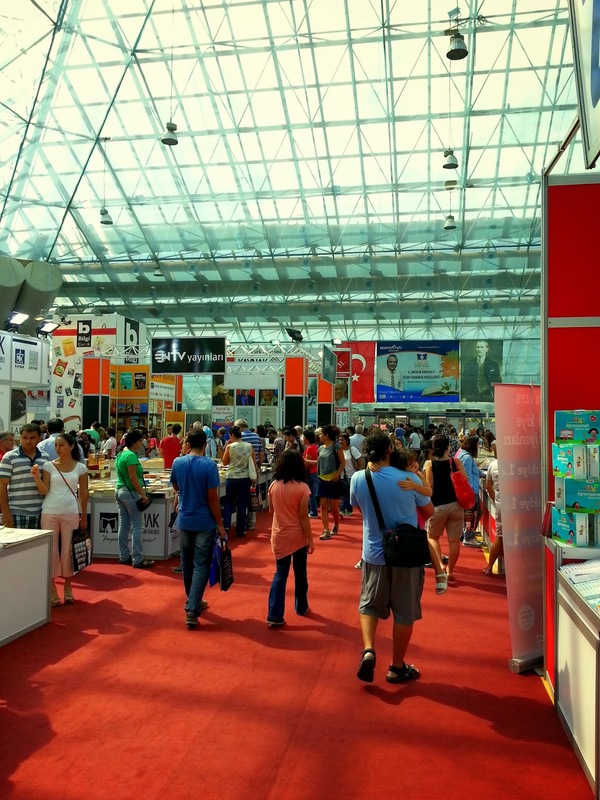 If you still have not visited this beautiful fair, you can visit until September 25. 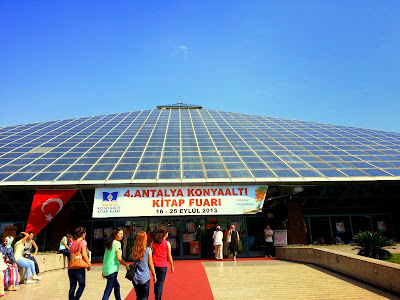 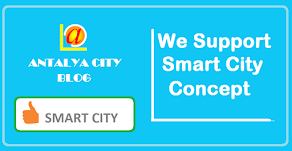 On behalf of Antalya City Blog, we thank to Konyaalti Municipality, and Konyaalti Mayor Muhittin Böcek for organizing this fair.